I have been working as a design consultant, designer, cultural engineer, policy maker, and the President of a design consulting firm named Tadanori Nagasawa & Associates Limited, and Professor at the Department of Design Informatics, Musashino Art University. Since I wrote my first book entitled “The Intangible Era – A Vision for the Design-Oriented Society” in 1988, I have been acting mainly as a design impresario and catalyst in the field of design industry and cultural sectors based on the new ways of design thinking and aspects, however I trained and studied as a graphic information designer and researcher. My main interest in design has not only been producing tangible or visible products but also knowledge management and intangible services, which comes from my study of graphic information “ZU-forms of graphical representation” as a new philosophy for creative thinking and also study of design semiotics and experience modeling. In 1993, I created a concept “cultural engineering” with Mr. John Thackara who was my partner and the Director of the Design Analysis International Limited. “Cultural Engineering” is the word to extend the meaning of design and its application in the context of advanced information era. I have been trying to examine these new concepts as an advisor for the national government and several regional authorities, as well as professional associations and private-sector clients, on all aspects of design policy and management and public relations. For example, as an educator and catalyst, I designed and founded a unique design event as a design movement based on my concept of cultural engineering, named “The Senior High School Design Championship” at the Tohoku University of Art & Design in 1992 and still now on, authorized by the national and local governments and also design institutions and industries. 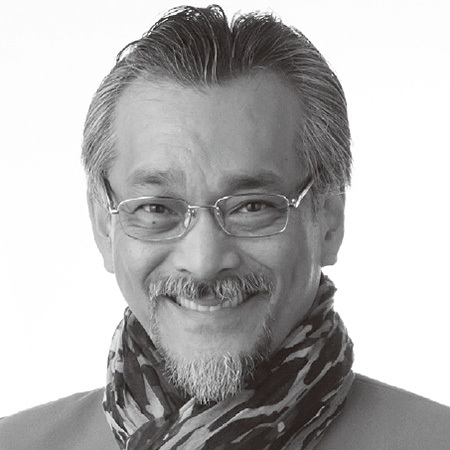 I have been a member of the juries of many design competitions and have been invited to chair or speak at many design seminars and lectures throughout Japan and foreign countries, such as Finland, Denmark, Netherlands, Italy, Germany, U.K. Singapore, etc. and have also organized a variety of local and national design conventions, exhibitions and conferences. I contributed as the author of numerous magazine articles and design books and talked about design in the television and radio programs in Japan and Europe. ICSID’s registered expert of Design Promotion.